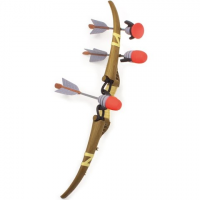 Young adventurers defend the land and develop your skills with Zing Toys` Legends Long Bow! Fend off enemies over 125 feet away with your zonic arrows. And parents have no fear: these arrows are soft foam tipped and safe for play.